Each week I’ll be sharing the best dog related stuff I’ve found on the web. I read a lot of great dog articles each week, yet they get lost so quickly in the fast paced flood of social media. I wanted to find these great articles a more permanent home so I’ve decided to start a weekly dog roundup. I’m always open to suggestions when it comes to reading fresh new content. If you come across any great dog finds during your internet travels feel free to contact me with suggestions. Have a great weekend and give your dog a some love this Valentine’s Day. Great new perspective on an old topic. Recent research has found that 46% of young adults see shelter pets as being less desirable than those from breeders. Excellent point about animal shelter advertising campaigns adding to the negative perception. In the newly released study canine participants were trained to choose either happy or angry expressions on various photos. The dogs were shown to correctly identify these these expressions by using their previous knowledge of human emotions onto a new stimuli. 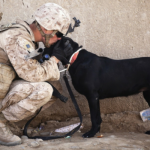 Intriguing article about the diagnosis of Post Traumatic Stress Disorder in our pets. 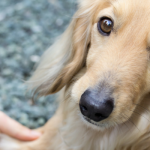 Although the diagnosis of PTSD in pets remains scientifically unproven there are many that believe traumatic experiences can cause PTSD in our pets. If you’re like me and don’t buy your pet gifts for Valentine’s Day but would still like to give them a little something check out this excellent post. It’s a big list of great dog treat recipes and all sorts of DIY doggie toys. 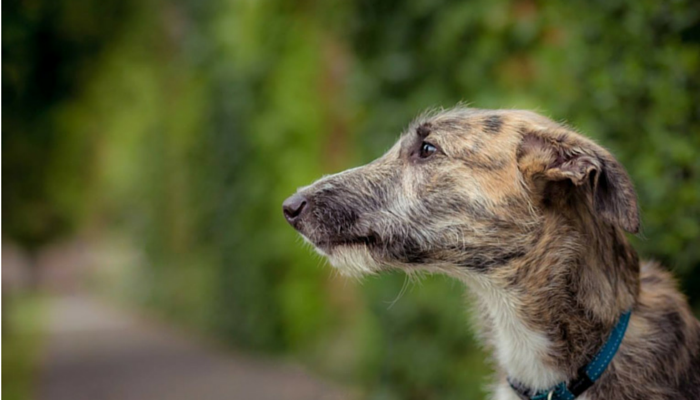 Those of us with fearful dogs will find a lot to relate to in this excellent post. It’s a personal story about the process of trying to get a handle on a dogs struggles with anxiety and panic. It’s a hard behavior to manage in both humans and dogs alike. 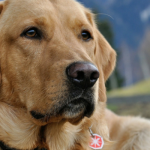 In a new study dogs demonstrated their ability to discriminate emotions in human faces.